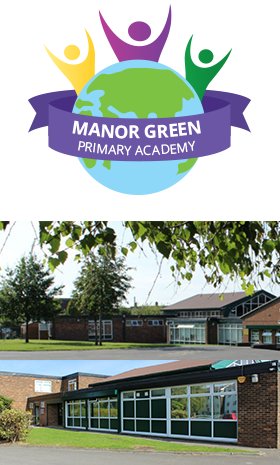 Manor Green Primary Academy has recently joined Focus Trust (October 1st 2015) and we are very excited about working with other schools who have achieved success within the Trust. Our vision at Manor Green is ‘We are the future – the world is in our hands’ as we aim for our pupils to leave the school in year 6 with ‘the values, attitudes and skills to be honest, hardworking and pro-active citizens with high aspirations for the future.’ We prepare our pupils for their ‘learning journey through life’, ensuring that they have fun, achieve well, learn how to keep safe and have excellent experiences that they will always remember. Our curriculum is lively and inspiring, providing many opportunities for the children to develop socially, emotionally, spiritually and academically. We have exciting cross-curricular themes which include the requirements of the new (and more challenging) national curriculum. They also contain the other dimensions of learning such as citizenship, multicultural education, personal, social and health education (PSHE) and environmental awareness. We take every opportunity to invite in visitors, go on school trips and provide a wide range of clubs including sports, music and art activities. At Manor Green, the pupils know that they have a ‘voice’ and are encouraged to offer their ideas, discuss their beliefs and express their opinions. We also encourage them to take responsibility for their own and others’ behaviour and we are proud that our pupils’ self-discipline remains outstanding. The great emphasis that we place on respect and tolerance also ensures a caring and happy school. Our links with parents and carers are really important to us and we work hard to encourage parents to become involved in their child’s education. The weekly coffee morning, parent workshops, homework projects, volunteers and our fundraising group ensure that parents are made to feel welcome and part of our thriving community. Please visit our school at any time – no appointments necessary!